Hi, new member here! It's my first time posting also. Most of you know this already, but Tremors actually had two composers. Ernest Troost was assigned with composing the music for the film, however, most of his music didn't make it to the final movie. Robert Folk was called to replace his music on some of the key scenes. Folk ended up re-scoring aproximately 30 to 40 minutes of music. Ernest was still credited, and when Folk was asked if he wanted to be credited alongside him, he denied the offer. Although Intrada did release Troost's score of the film(along with some tracks Troost scored for the unreleased film, Bloodrush), there has been no official release(to my knowledge) of Robert Folk's score. But, after looking around, I finally found it. 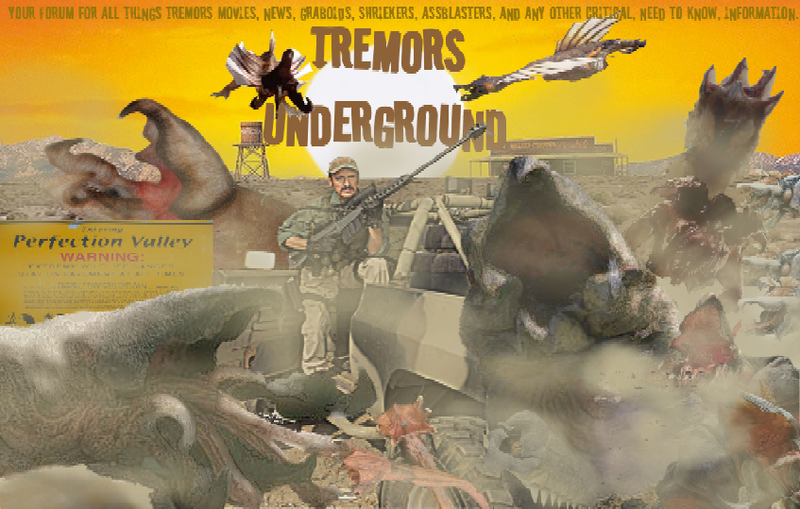 So, ladies and gentlemen, without further ado, I present to you, the complete motion picture soundtrack to Tremors! This soundtrack includes ALL of Ernest Troost's and Robert folk's tracks(even unused ones), including the Bloodrush tracks, and a few more additional ones, including Reba McEntire's "Why Not Tonight". I hope you enjoy the complete soundtrack to Tremors! "I'll do anything you want, carry luggage, make coffe, light fuses." "Well, maybe you will come in handy." "When they're eating you it will give me a chance to run away." Dude, this is just amazing! Thank you so much! I'm a collector and want the real thing and all, but until I can get my hands on it, this will do just fine! Since a lot of this is unreleased, how did you get your hands on it, if I may ask? Either way, you just made your way into the Hall of Fame in my book with this post. Thanks again, bud! "I'm betting on outer space. No way these are local boys."